Hajj is the name for the annual pilgrimage to Mecca. A fitting name for a route that brings to a close the entire Mecca saga for myself. It is a journey that started back in 2013 when I first climbed that famous 8b+ groove line at Raven Tor that so many people aspire to. Later that year I managed to pull myself up the ‘Mecca Extension’ and with it my first 8c. 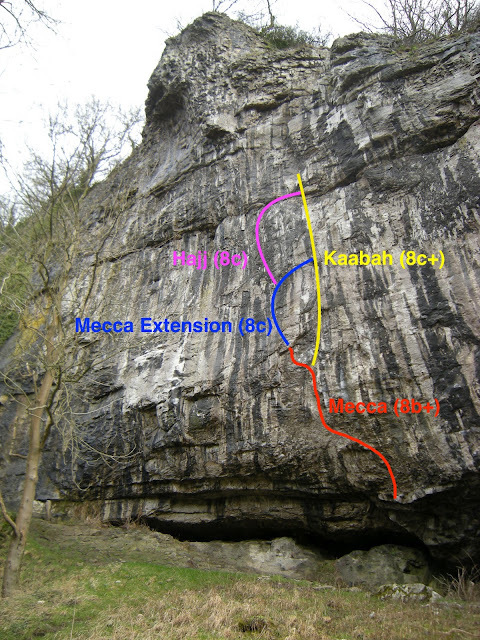 Next on the list was the neighbouring and much harder extension, Kaabah, 8c+. Over the course of a couple of seasons, the first of which just about mentally broke me, I finally made it up that section of wall too, in early June of 2015. This one was a serious emotional roller coaster for me and probably the only route that has ever had me on the verge of tears when I finally made it to the top and clipped the chains. At the time I pretty much had no interest in trying. I think it had only ever had a couple of ascents at that point still and to be honest I’d kind of seriously had enough of that whole piece of rock. Fast forward to spring of this year. After a year of many changes involving work and moving into my own place in Tideswell, I found myself in a truly fantastic and privilege position of finally being able to go climbing properly again. I am of course incredible grateful to my long term sponsors Mammut for their unwavering support and for allowing me the freedom to pursue my climbing career and dreams. They really are a terrific team to work with and I honestly cannot thank them enough. 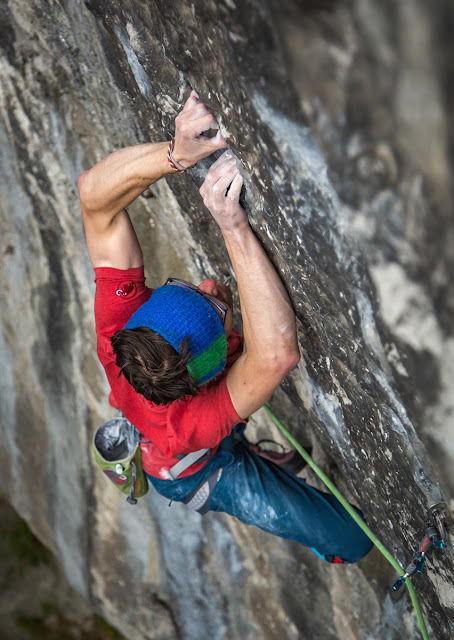 After spending a short period of just enjoying having the time to climb again, I turned my attention to project mode. Mecca went down again with relative ease, considering it had been close to 2 years since my last ascent. Hajj itself however was a different story. On first acquaintance with the crux, I was barely able to pull on the holds let alone do the moves. It was a shock to the system without a doubt. The hand holds on that vertical shield of black limestone are perhaps some of the most horrendous grips I have ever pulled on. Made only worse by the sheer lack of initial footholds. It is probably about as close to standing on fresh air as it gets. Add into the mix that they are also the sharpest, most painful holds I have probably ever pulled on, and we have quite the feast. A series of razor blade, credit card thin fingertip crimps and tenuous half pad undercuts in the vertical world make for a serious treat (if you have a fetish for that sort of thing) and roughly gives you a HARD font 7B+ ish? boulder problem to negotiate. But despite all of this I was psyched regardless and within a couple of sessions I had linked the entire crux section to the top. It felt good to be back trying hard again. Seeing that progression all climbers thrive off, from virtually impossible to maybe ‘just’ possible to okay I can do this. The project process. We all know the story. However routes like this rarely go to plan and I spent the next few weeks, which slowly turned into the next couple of months, battling my way literally inch by inch up the final 8ft section of rock. It was certainly not going to go down easily. These routes require patience, tenacity, commitment and full body engagement, not to mention the right air temperature, breeze etc along with the ability to feel zero amount of pure mind numbing PAIN! We battled with conditions that included everything from extreme heat, and jungle like humidity to the freezing cold and blasting arctic winds. Actually some of my best attempts ended up coming during absolute monsoons. Bizarre. I slowly started coming to the conclusion that these type of routes are just simply not my style. Or maybe they are, I no longer can really tell. Maybe I was just too eager? Maybe I was taking the wrong approach or it was all simply just a head game. However with each passing session I was getting clearly getting fitter and still making obvious progress. Whether this progress was doing a big link, finding some new and intricate way to hold on or even just an obvious sense of feeling stronger on individual moves and the route in general. Finding a new marginal foothold, making a tiny fingertip adjustment, all small pieces of encouragement to take home, think on and keep the psyche burning. In the end it was one of these micro beta changes that probably made all the difference. I was so appreciative of having the time and freedom to go climbing that even on the worst of sessions I remained as upbeat as possibly and reminded myself that this was meant to be fun. Kaabah taught me a lot of things about myself, my climbing and how to deal with the pressures of performing at your limits. Having that experience to draw upon helped hugely. I didn’t beat myself up over falling, I refused to let my mind wander off and be distracted by failure, but tried to keep a clear head, clear of all doubt, bad vibes and completely focused in on the end goal. It would go when it was ready. 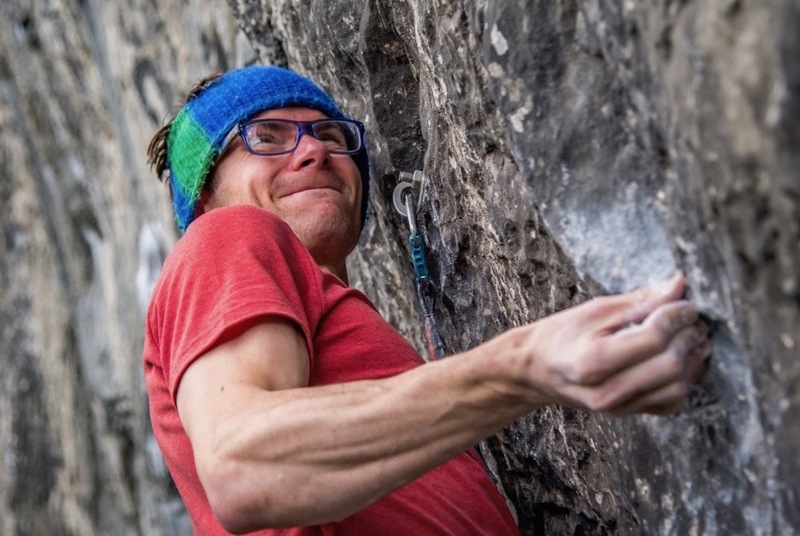 It's more than likely that constantly keeping a clear state of mind and blocking out any negative thoughts was potentially harder than doing the crux moves of the route itself! It could have easily gone about a month ago and maybe it should have, but for some reason or other fate decided to drag the process out by another few weeks. All in all it took close to 40 attempts and in the process taking my Mecca account to 122 ascents. Some will look at that and call it madness, obsessive, ridiculous, blah blah blah, but for me it was worth it. It was worth all the pain, both mental and physical, all the early morning starts, all the split fingertips and every frustrating fall. I am pleasantly satisfied but reckon I am well and truly done with that section of wall now! It should go without saying that special thanks should go to my Dad who was there to hold my ropes for pretty much every session along the way. The whole process would have been a million times harder and more than likely longer without his ever readiness to belay and support at the bottom. What’s next? I dunno. One thing for sure is I will not be making my Hajj an annual thing!